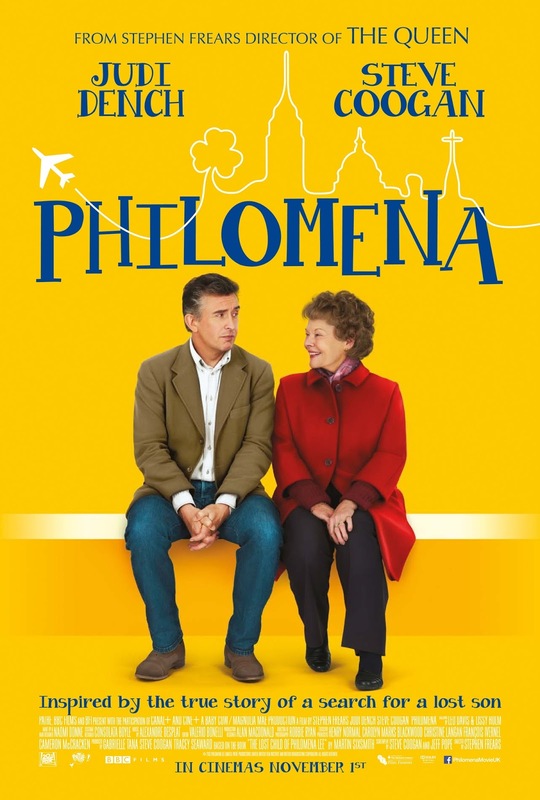 The movie Philomena: trailer, clips, photos, soundtrack, news and much more! Inspired by the true story of a search for a lost son. Why is that poster so yellow? Are they trying to sell bananas? “A woman (Judi Dench) searches for her adult son, who taken away from her decades ago when she was forced to live in a convent. Hard to recognize Judi Dench! Do you think James Bond would recognize his boss M? 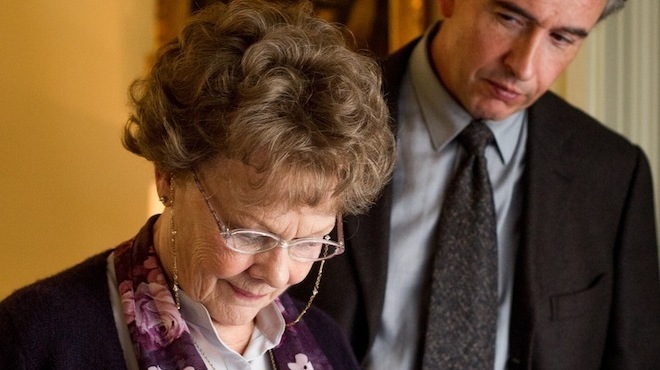 The film is based on the novel “The Lost Child of Philomena Lee” by British Author Martin Sixsmith. It will hit UK theaters on November 1, 2013.